Please note that the content of this book primarily consists of articles available from Wikipedia or other free sources online. 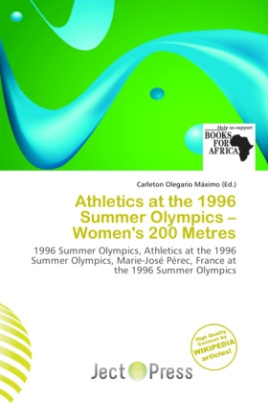 These are the official results of the women's 200 metres event at the 1996 Summer Olympics in Atlanta, Georgia. There were a total number of 47 participating athletes (and three-finishers), with two rounds (six heats in round 1, four heats in round 2), two semifinals and a final. The 1996 Summer Olympics of Atlanta, officially known as the Games of the XXVI Olympiad and unofficially known as the Centennial Olympics, was an international multi-sport event which was celebrated in 1996 in Atlanta, Georgia, United States.